Do you have field dependencies and you’d LOVE to copy the edit screen for that dependent field? I know I do and from what I’ve seen many others do too. A Google search on this topic will bring up a litany of Salesforce Ideas for an exportable or printable view and countless questions about how to get a usable version of this list out of Salesforce. The most common use case seems to be the need to put the list into a file format, excel for example, where it can be reviewed, sorted, edited etc. It’s a convenient way to share the list with people, add to documentation or embed in training slides. The best and most flexible solution that I’ve found is a Google Chrome plugin called Copytables. 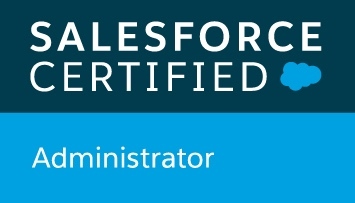 It’s great because it works on other tables in addition to Salesforce. It’s a multitasker – Yay! Pick a field with a dependency and go the edit screen. This will highlight the entire table! I like to use AS IS to retain the colors in the table. Why? In Excel, you can sort by color so it is quick work to weed out irrelevant values. Very cool and very fast! In a blank excel worksheet, use PASTE or CTRL V to paste your table. Presto – there it is! Not only is it easy to copy and paste but it’s in a usable format! Finally! A Use for Invocable Processes For Our Org…. How to fix PowerPoint Chart Data Refreshes if You Used the “Use Destination Theme and Link Data” Option.